After years of legal disputes about patents and royalties, Apple, Inc. (NASDAQ: AAPL) and QUALCOMM, Inc. (NASDAQ: QCOM) finally reached an agreement on Tuesday. Apple agreed to pay Qualcomm an undisclosed amount of cash, and Qualcomm agreed to a chipset supply deal that presumably means Qualcomm will continue to supply Apple with iPhone chips. 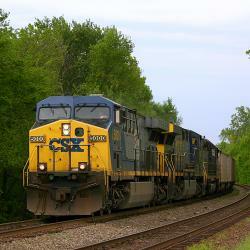 The market seems to see the agreement as a win-win for both companies. After spiking 20 percent Tuesday, Qualcomm shares jumped another 12 percent Wednesday morning. Several Wall Street analysts have weighed in on both stocks following the agreement. Here’s a sampling of what they’ve had to say. Morgan Stanley analyst James Faucette said Qualcomm is now free to refocus its attention on growing its business and expanding its ecosystem. “We think this settlement is a significant win for Qualcomm and results in a similar, if not better, outcome to a scenario we laid out in January, which would have been reached had Qualcomm achieved a win at the FTC,” Faucette wrote in a note. Wedbush analyst Daniel Ives said the abrupt end to the multi-year soap opera between Apple and Qualcomm completely blindsided Wall Street. “With a settlement there is no more uncertainty abound for either company and thus removes an overhang that has long weighed on both companies,” Ives wrote. Tigress Financial analyst Ivan Feinseth said the next major bullish catalyst for Qualcomm will be the global rollout of 5G wireless networks. “I believe further upside exists in the stock from current levels and continue to recommend purchase,” Feinseth wrote. Mizuho analyst Vijay Rakesh said Intel Corporation (NASDAQ: INTC) is the surprise loser from the agreement. “The Apple settlement ($5B+), 6- yr licensing, and INTC exit, places QCOM as the undisputed leader in 5G with little competition,” Rakesh wrote. KeyBanc analyst John Vinh said Intel dropping the ball on its 5G modem motivated Qualcomm to reach a deal with Apple. 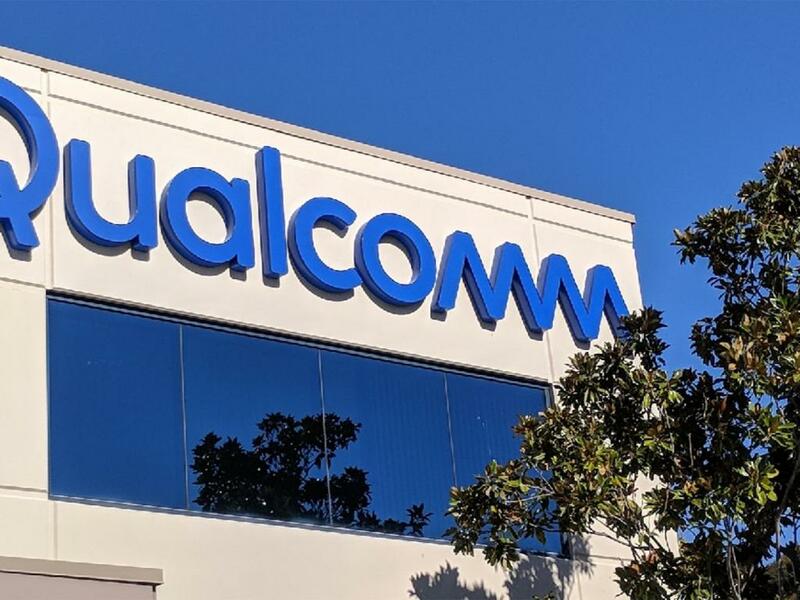 “We expect the 5G chip supply agreement and the resumption of ongoing licensing royalties to add ~$2.00 in EPS to our F2021 estimates for QCOM,” Vinh wrote. Evercore ISI analyst C.J. Muse said Intel losing the 5G war to Qualcomm will be a tough pill to swallow for Intel management. "As for laterals, we now look for Bob Swan at Intel to likely exit the modem business (clearly a focus on Intel’s conference call next week as well as Analyst Day in May)," Muse wrote. Raymond James analyst Chris Caso said Qualcomm now has a clear path to $7 in EPS. “From our current estimate of $4.66, we expect FY20 non-GAAP EPS could move above $6 (from licensing and lower legal costs), while for FY21, we expect EPS north of $7 including $0.50 from Apple chipsets, as well as flow-through of 5G chipsets to other OEMs, based on our belief QCOM will capture a large majority of the CY20 5G cycle as the competition appears so far behind,” Caso wrote. 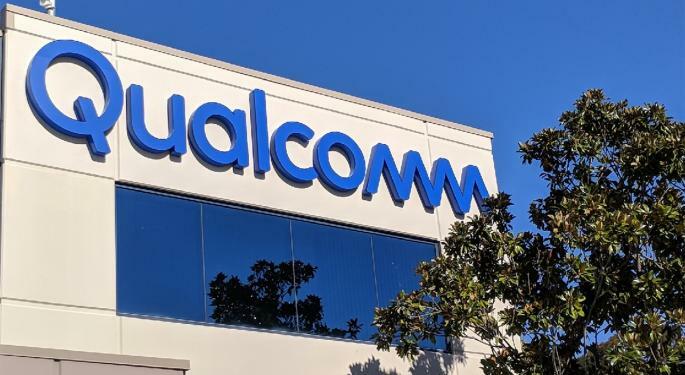 Rosenblatt Securities analyst Jun Zhang said Qualcomm will now have 60 percent model market share for Apple devices as soon as the second half of 2019. “We think Apple will contribute $1.2 billion towards Qualcomm’s equipment and services revenue and $500-550 million of licensing fee revenue in the second half of CY2019,” Zhang wrote. JPMorgan analyst Samik Chatterjee said Qualcomm should have about $12 of royalty revenue per iPhone moving forward. "Our math implies downside from recalibration of licensing rates with other OEMs is likely to be modest at most, while offering potential upside from capturing greater share of 5G chipset sales," Chatterjee wrote. Morgan Stanley has an Equal Weight rating and $55 target for Qualcomm and an Overweight rating and $220 target for Apple. Wedbush has an Outperform rating and $225 target for Apple. Mizuho has a Buy rating and $82 target for Qualcomm and a Neutral rating and $175 target for Apple. KeyBanc has a Sector Weight rating for Qualcomm and a Sector Weight rating for Apple. Raymond James has an Outperform rating and $85 target for Qualcomm and a Market Perform rating for Apple. Rosenblatt has a Buy rating and $84 target for Qualcomm and a Neutral rating and $150 target for Apple. Evercore upgraded to an Outperform rating and $90 target for Qualcomm. JPMorgan upgraded to an Overweight rating and $88 target for Qualcomm. At time of publication, Qualcomm traded higher by 12.6 percent to $79.32 per share.